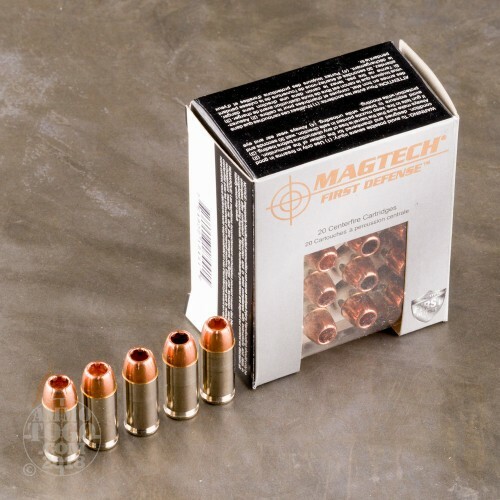 Magtech has been dedicated to producing high quality ammunition for almost a century. Manufacturing all their own components, Magtech has full control over every stage of the ammunition manufacturing process, guaranteeing the quality of the final product. Only the best raw materials combined with cutting edge manufacturing techniques are used to deliver the standards that have made Magtech an internationally recognized name. This package contains 20 rounds of Magtech First Defense .40 Smith & Wesson ammunition. 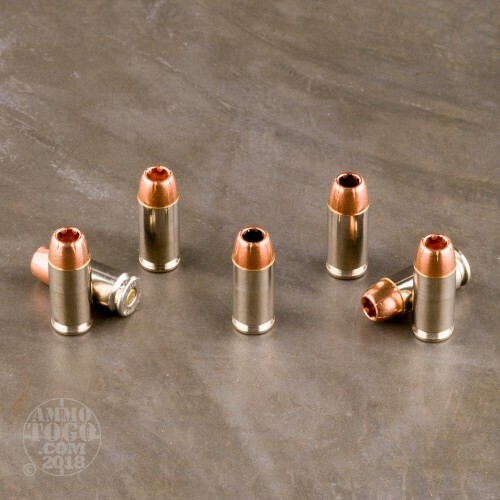 Each cartridge is loaded with a 130 grain solid copper hollow point projectile. 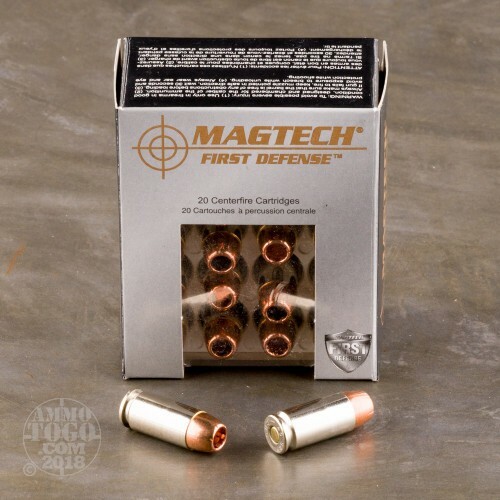 Unlike traditional hollow points, which are designed with a soft lead core covered by a hard copper jacket, Magtech First Defense bullets are 100 percent solid copper. This construction prevents loss of weight and the corresponding loss of power that comes with core/jacket separation. This design guarantees every round fired hits the intended target with maximum impact, power, and effectiveness. This ammunition is factory fresh, non-corrosive, boxer primed, and features nickel-plated brass cases for smooth feeding, function, and extraction. 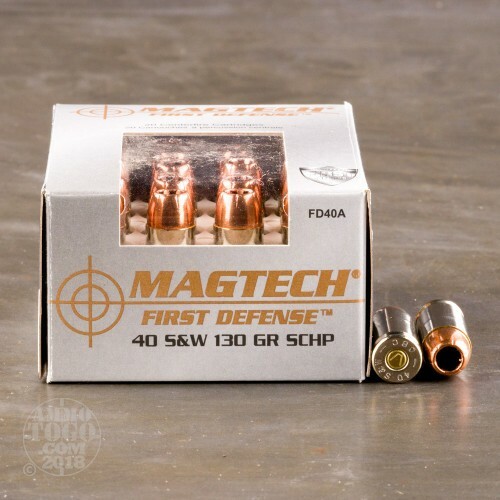 Leaving the muzzle at a velocity of 1190 feet per second with 409 foot pounds of threat stopping energy, these rounds are ideal for a variety of self-defense applications. We bought these non lead because of the new laws in California. It is legal to hunt with a center fire pistol so rather than let Mr. green Jeans have something to pick at we went copper in our permitted carry pieces. Only gave four stars I have not used the round in a real situation but it functions and performs at the range. Great customer service and fast shipping we will be back..